Readers take note! If you sign up for a 30-day trial with Audiobooks.com, you can get instant access to any professionally-read book in the Audiobooks.com library for free. You can cancel before your trial period is over and you'll never be charged, but the book is yours to keep. After the trial period ends, and if you don't cancel, your full membership will begin and you will be charged $14.95 per month for one credit, applicable towards any audiobook in their library. Click here or on the image above to start your free trial and get a free audiobook. 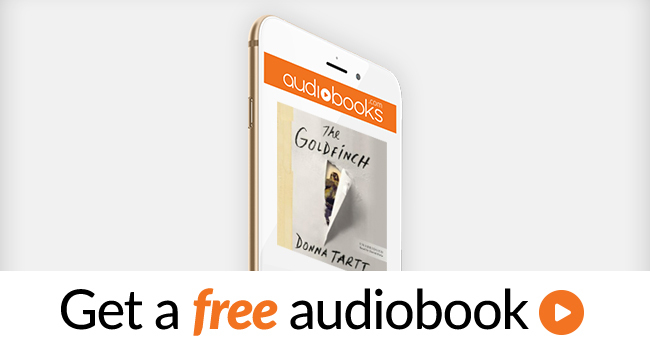 FYI: Audible.com (another provider of audio books) also offers a free trial program that lets you download two free audio books. Get details on that here.